A 2010 study using measurements taking by the Gravity Recovery and Climate Experiment (GRACE) satellite reported that glaciers in the Himalayas and the Tibetan plateau were shedding about 50 gigatonnes of ice per year. These results were refuted two years later by a research group using the same data but varied the interpretation to show that the ice loss was only a tenth of that amount. 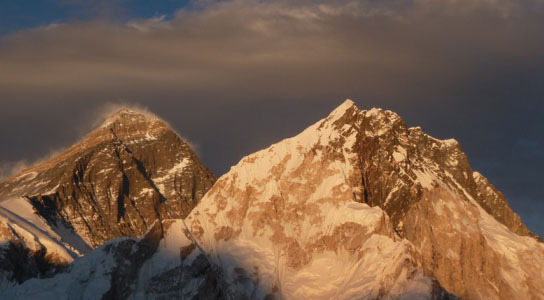 A new study of the Himalayan glaciers using NASA’s ICESat indicates that these glaciers were losing on average 12 gigatonnes of ice a year between 2003 and 2008. The researchers published their findings in the journal Nature. This new estimate raises even more questions about the reliability of satellite and field measurements of alpine glaciers. ICESat shows twice as much ice loss as the reinterpreted GRACE data, this figure is still three times lower than regional losses estimated on field studies. ICESat was launched by NASA in 2003 to track the overall changes in polar ice sheet by measuring their surface elevation with a laser altimeter. It’s designed for smooth topography on the polar regions, and cannot be easily used to map the rough terrains of the Himalayas, states Andreas Kääb, a remote-sensing expert at the University of Oslo in Norway who led the latest study. The team tried to solve this problem by correcting the ICESat data using elevation measurements taking from the Shuttle Radar Topography Mission. Kääb et al. also checked the altitude of adjacent terrain, which shouldn’t change drastically over a short period of time, to ensure that the changes in elevation detected by ICESat in the glaciers were genuine. Once these were in place, ICESat was used to map the region at a resolution of up to 70 meters. 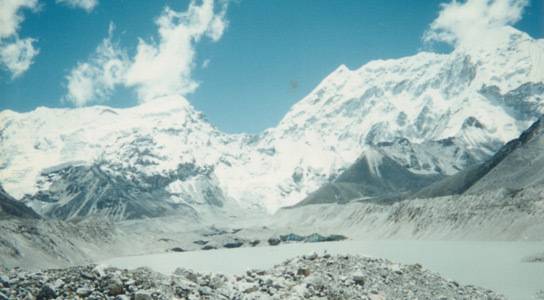 Between 2003 and 2008, Himalayan glaciers thinned at a rate of 21 cm a year on average, significantly less than the global average for glaciers and ice caps. This average can be misleading because it conceals large glacier losses in some parts of the Himalayas, which are balanced out by smaller gains in others. Several discrepancies with other satellite studies and regional-scale assessments remain. Studies like this do not indicate a general climate trend, since in order to make such a conclusion, data would need to be collected across several decades. Be the first to comment on "NASA ICESat Shows Himalayan Glaciers Have Lost Less Ice Than Worst Estimates"